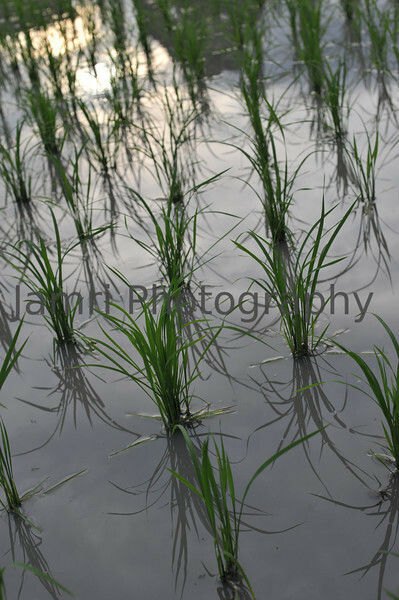 June - Freshly Planted Rice. The beginning of June sees the temperatures and humity rise sharply becoming somewhat oppressive until the coming of the rainy season towards the middle of the month. With the rains the temperatures drop of a little and fields are flooded ready for planting.